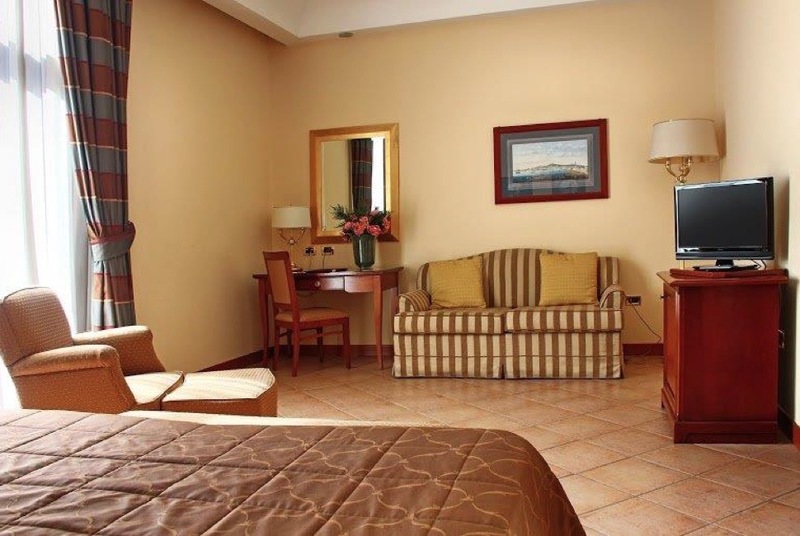 Silent, comfortable spaces for business and family. 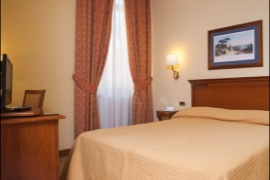 Le Cheminée Business Hotel offers 43 elegant stylish rooms, available in two types: Classic and Deluxe. Classic rooms offer different solutions. 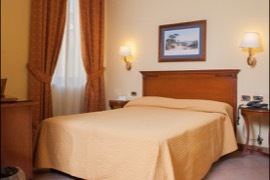 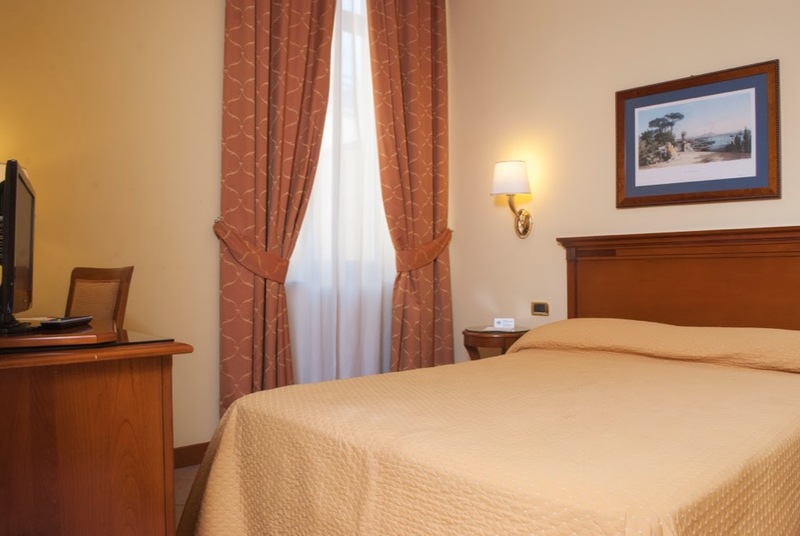 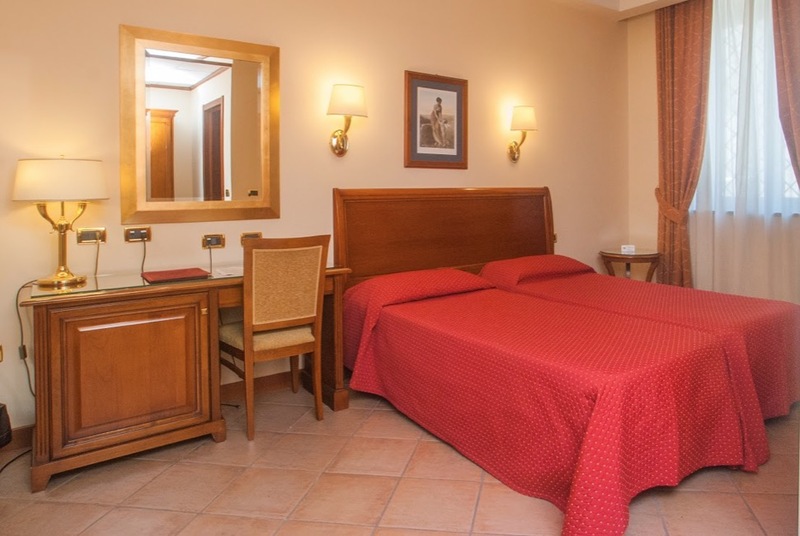 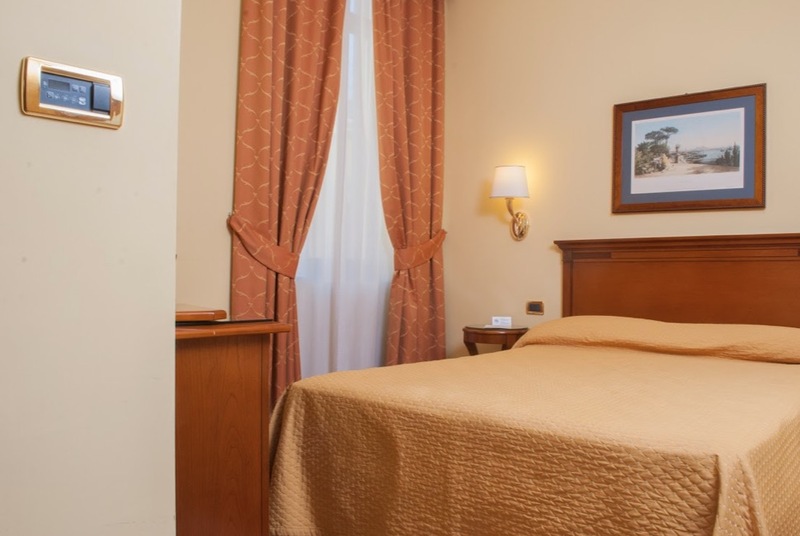 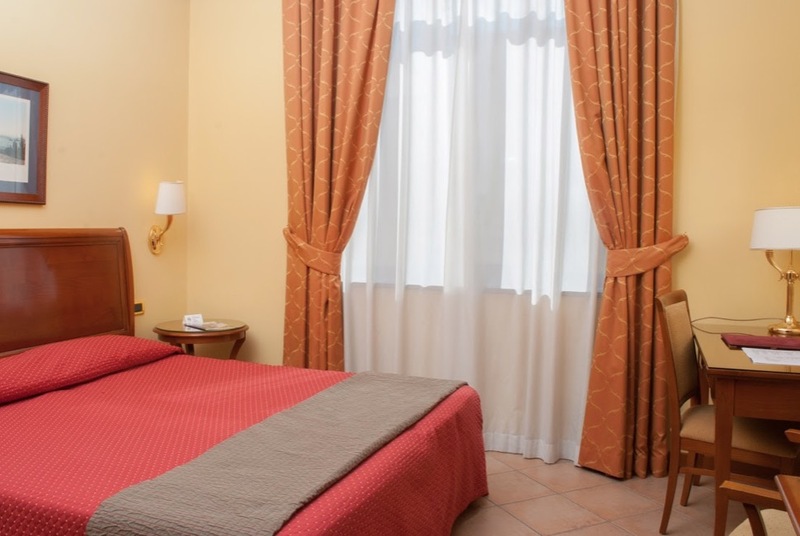 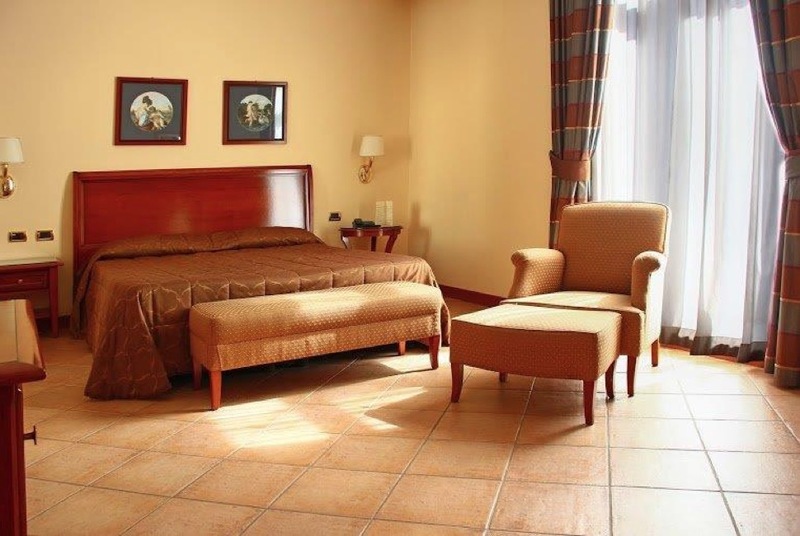 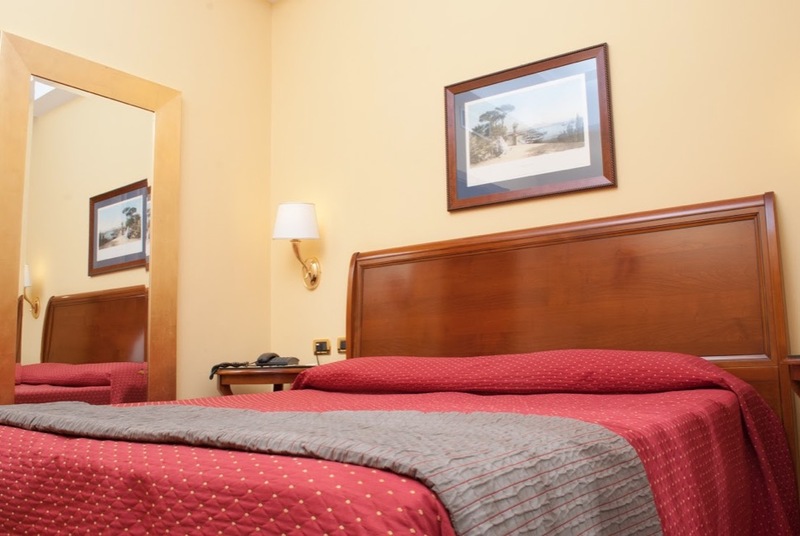 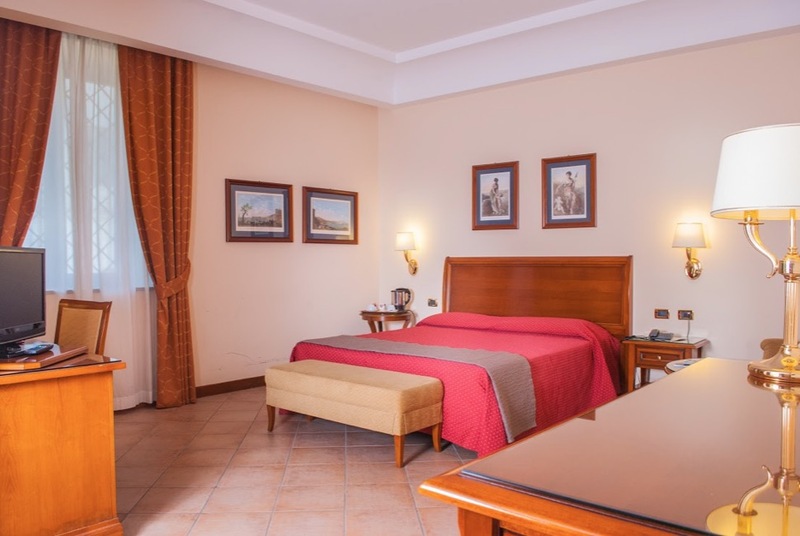 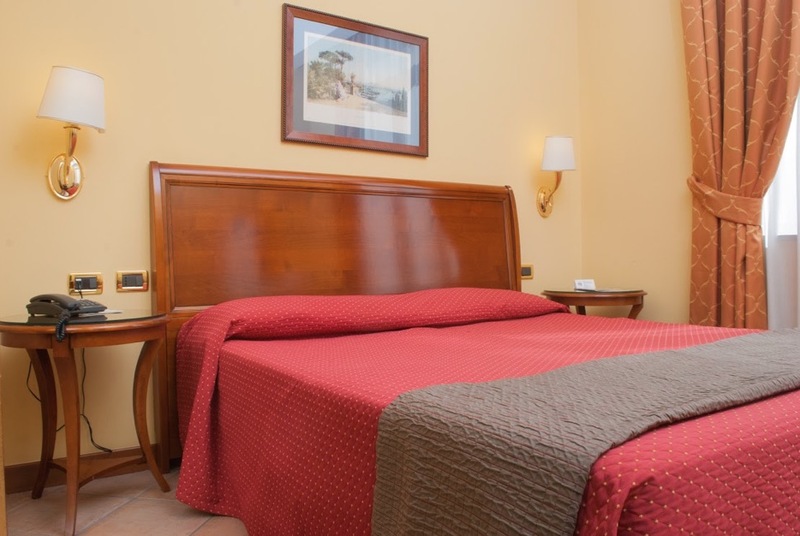 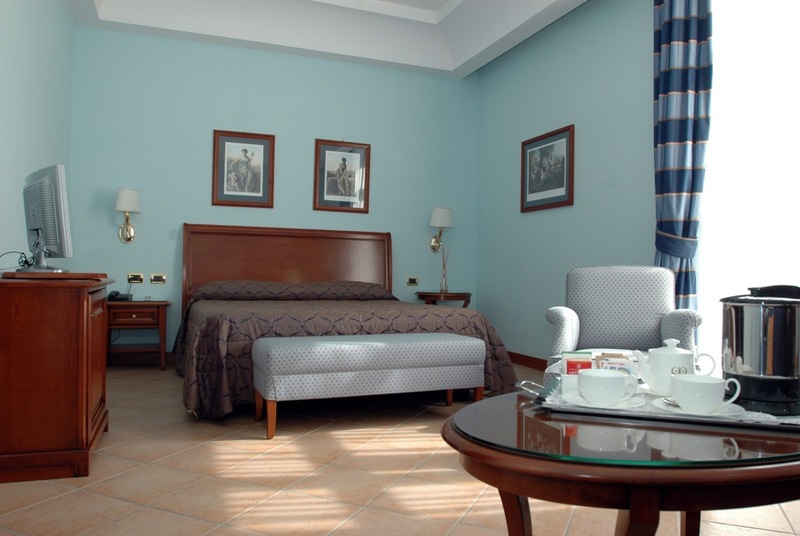 In fact, you can book single rooms with a single bed, or double rooms with twin or double beds. 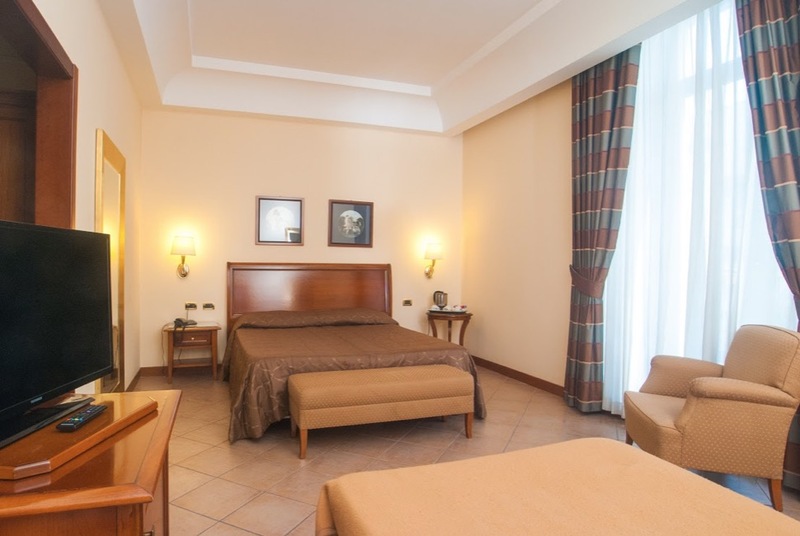 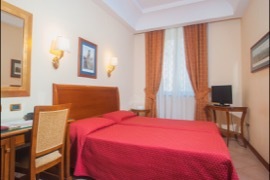 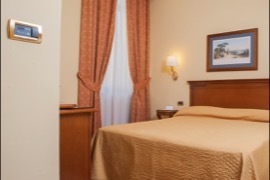 Double rooms are the solution for long stays, with 30 sq m of living space, well lit and featuring all modern comforts. 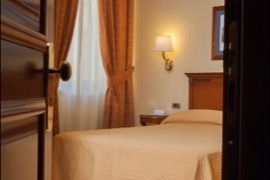 Bathrooms all feature a shower and basic Him&Her courtesy service. 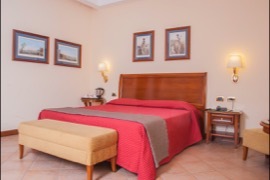 Each room is fitted with an ADSL internet connection and satellite TV. Some Classic rooms face the internal courtyard. 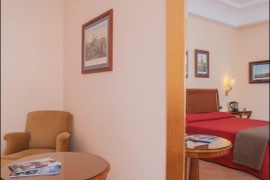 In addition to the basic standard amenities present in all rooms, Deluxe rooms feature an adjacent sitting room and business area with an internet connection, to work complete tranquility and total discretion. For relaxing moments, all rooms feature a Tea and Coffee kit, for a pleasant break in total autonomy. 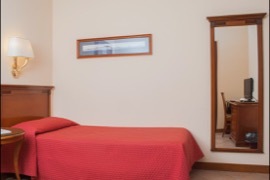 Bathrooms offer a courtesy line, complete with a bathrobe and slippers. 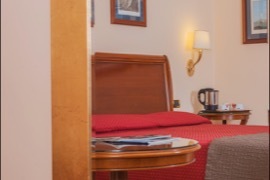 Book a Deluxe room with a view of the garden. 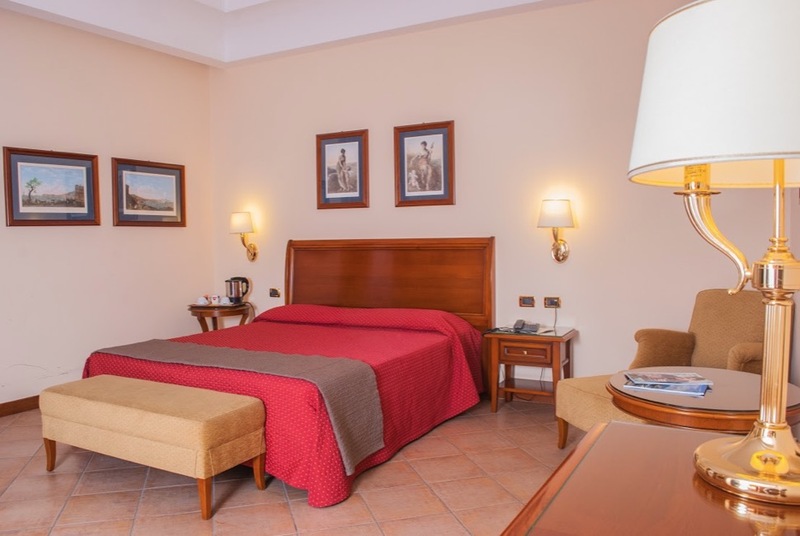 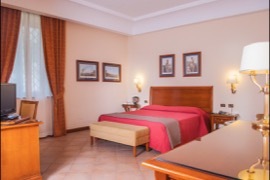 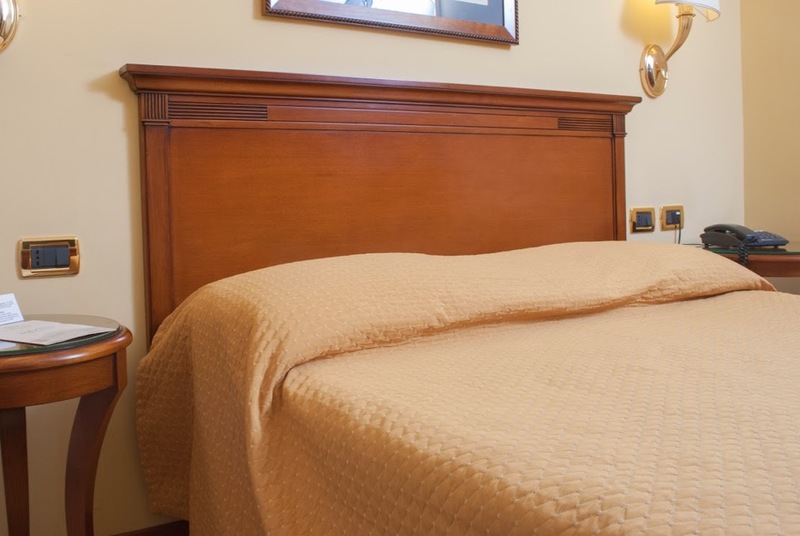 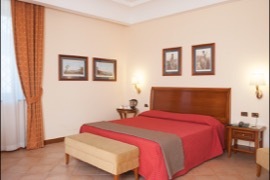 Deluxe rooms are also well suited for families, with a Family Room option (double bed and sofa bed). 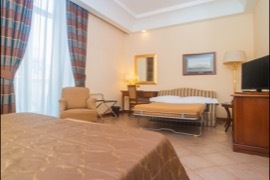 Depending on your needs, you can decide to stay in a single room, double room for one person, double or triple, or opt for a room for smokers. Rooms free of architectural barriers with a double bath are especially comfortable.